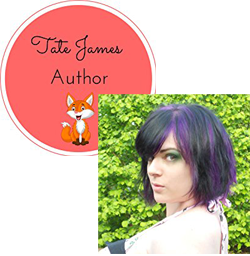 Hello awesome readers! 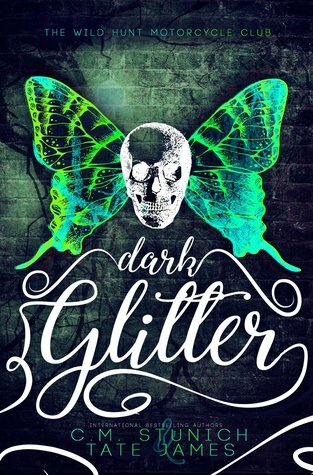 Welcome to my stop on the tour for Dark Glitter by C.M. Stunich & Tate James. Where the **** am I? It was dark, but streetlights and glowing neon signs lit the neighborhood outside of the alley I was crouched in. Shadows shrouded me, giving me a temporary feeling of security while I frantically searched my memory for where I was … or who I was. My wrists and ankles ached and I could see thick bands of bruising and raw wounds around them, like I’d been held prisoner somewhere. Surely that would be the sort of thing that was impossible to forget? What the **** had I done to deserve being held prisoner? It must’ve been something awful though, for me to feel this sick, this detached from my own body. It was hard to decide which was worse off: my body … or my mind. Terrified, I remained frozen to the spot, both figuratively and literally, praying she wouldn’t see me. How on earth would I explain what I was doing out here? It was clearly the middle of winter and I was dressed in little more than a nightgown. “Hey, girl,” she said, spotting me, “what the hell are you doing lurking in this sh*t-filled alley?” The woman took a drag on her cigarette, blonde hair gathered back in a messy ponytail, stray strands curling wildly around her face. I don’t usually go for thrillers but that cover is gorgeous! And I like the sound of this one. I may have to pick it up just to see 🙂 I really enjoyed your review of this one! I love the cover too. I would love to hear what you think of it if you end up reading it!